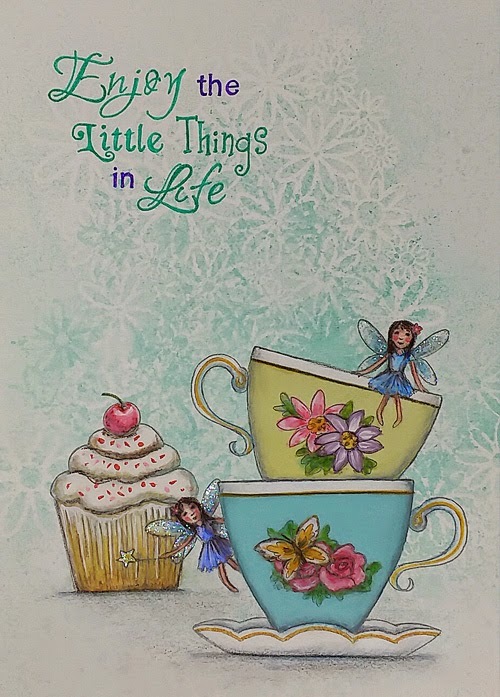 "Enjoy the Little Things in Life" reminds me to be grateful for even the smallest surprises, delights and rituals that occur on a day-to-day basis. I did this original artwork as part of the May/June Giveaway on Life Book 2014. Congratulations to Jacqueline on winning! This prize will be winging its way to her very soon. 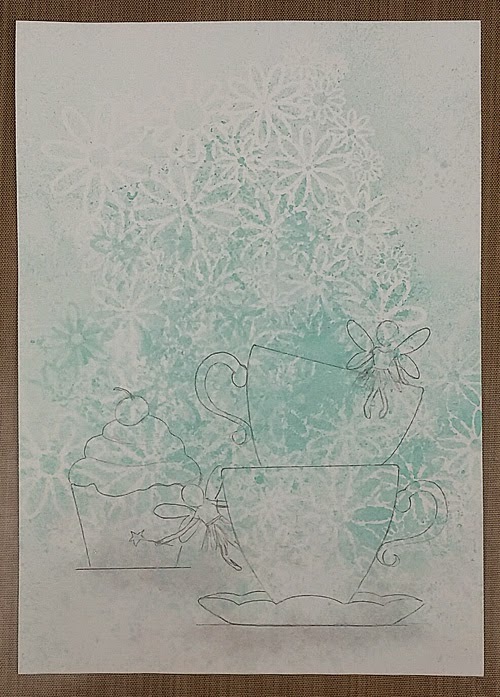 I loved using this flower stencil as soft texture in the background, I even turned it over and patted the glimmer mist ink lying on the surface to darken and add extra texture. 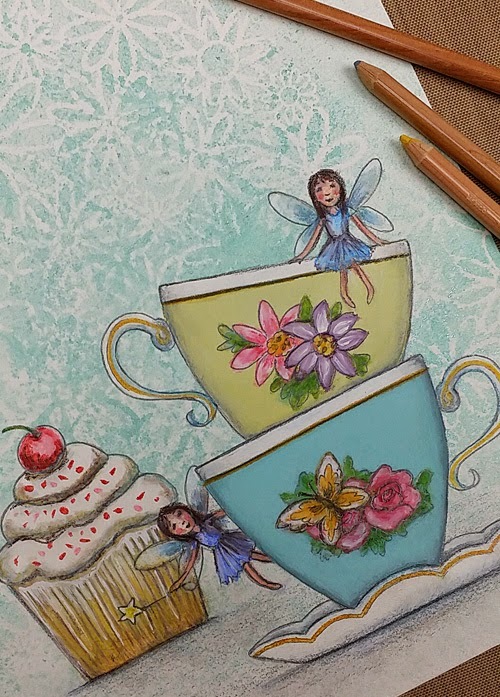 I sketched the teacups, fairies and cupcake and then it was straight to painting with acrylics, watersoluble crayons and watercolour pencils. After transferring the quote I went over it with green and purple glitter pens, it is hard for the camera to pick up the sparkle. 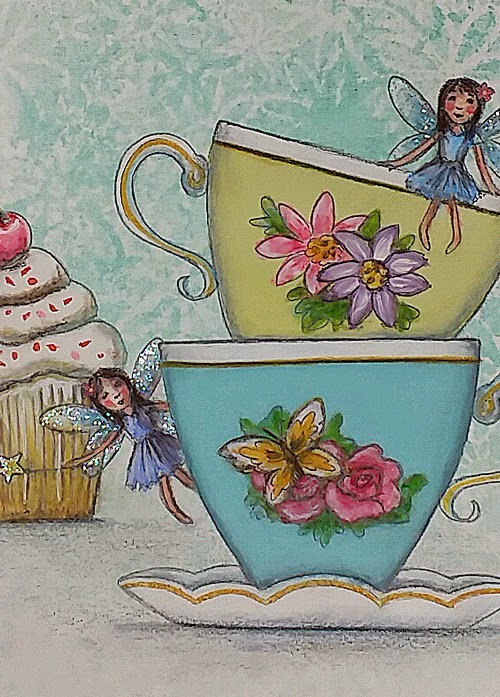 Glitter paint adds a bit more bling to the fairies wings and wand, I adore how it twinkles in the light. 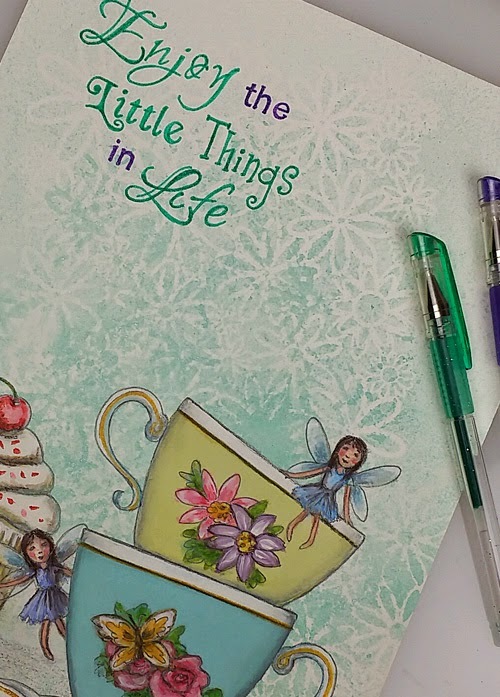 Do you have any daily rituals that put a little bit of joy or happiness in your day? Until next time, Happy Creating and have a great week! Love your daily ritual Phoenix, I think it is so important to come together at meal times and have that interaction.